If you have read the book Money Ball (video option here) by Michael Lewis, then you have an understanding of the financial and emotional power that comes with Big Data. However, you might also feel that if Paul Revere was riding his horse again in Boston, he would change his cry from “The British are coming” to “Big Data is coming.” Privacy is over, big brother is here and individual freedoms are soon to be taken away! This is a typical reaction from people when they first start to understand what all this big data means, or when they read about what the National Security Agency (NSA) in the USA is doing. In addition, commercial companies such as IBM, Apple and bunch of companies you have never heard of, are rapidly gathering data, running analytics and applying algorithms to Big Data and selling it. On the other side, Big Data is doing fantastic things in the healthcare industry, education, transportation safety, sports and more! For example, Sal Khan and his Khan Academy program is able to generate zillions of data points to better understand how students learn. We can now, if we choose, customize learning like never before. This lesson is designed to help you understand what Big Data is all about, and at the same time, how awesome and scary it is. Watch this very basic, yet entertaining, video as it explains what Big Data is all about. Watch, read and reflect upon three or more resources found in the resource section below. There is SO much great information there you may find yourself getting lost in all the options. In the comments section below, leave a brief response to “Imagine and/or describe a way in which big data can be benefit to you either in the classroom, or in some other way.” For example, if I was teaching a class of struggling students, all I know at the beginning of the year, is that I have a bunch of struggling math students. Big Data would help me to understand in what areas each of these students individually struggle. How great would that be? 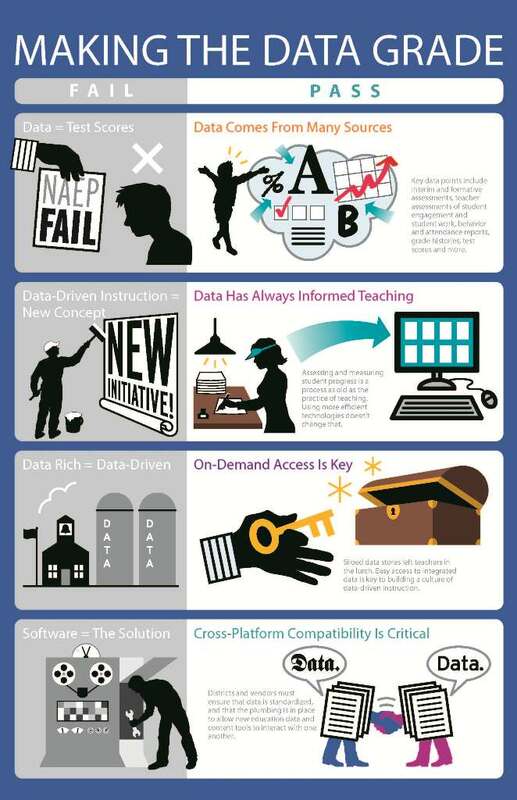 How can Big Data improve our teaching practices? How can Big Data improve our lives in general? Is Big Data so scary that we should abandon it? Does privacy have any hope? The more I learn about Big Data, the harder it is for me to have an opinion on if it, on the whole, is a good thing for us. Clearly there are some fantastical benefits from what we can glean from millions of data points and how it can save and improve our lives. However, as with anything, it is also used for nefarious purposes and has, pretty much, ended any expectation of a right to privacy. Then again, do I/we have a choice? Big Data is not going away anytime soon. Our best hope is to rally together collectively as needed to demand various limits to how it can be used. When will that day come? Watch the Internet in real time. 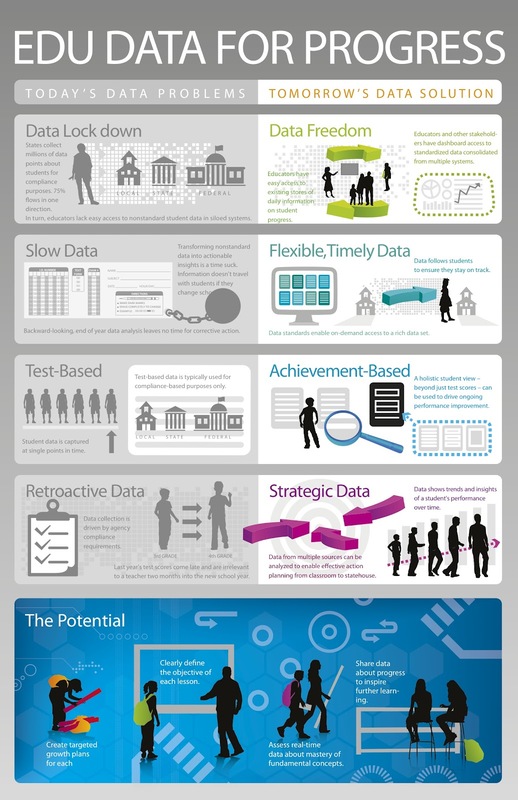 Big Data in Plain English. Great intro to the whole concept. Very basic and entertaining! “The Dark Side of Big Data.” An awesome playlist of TED talks that might scare you. “Your Phone Company Is Watching” is one of my favorites. Big Data Will So Improve Our Lives! Big Data Can Do Awesome Things. Another playlist from TED with videos demonstrating how great Big Data is for our world. The one by David McCandless is a super introduction and any TED talk by Hans Rosling is a for sure happy, interesting experience. His talk on global poverty, though over eight years-old is an all time TED favorite. This picture was taken where I used to live in …. CHINA! Right now, that camera just goes to a video recorder and people watch it, after the fact, if something bad happens. When facial recognition and analytic software becomes so cheap that attaching an algorithm that can predict behavior of the people who pass in front of the camera, is easily possible? How will they use it then?